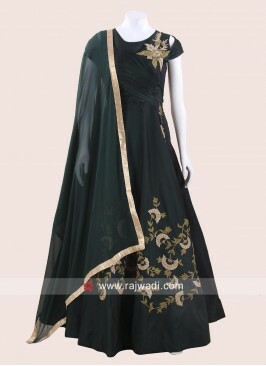 Gorgeous full length Black Anarkali kameez is nicely crafted in floral embroidery work. 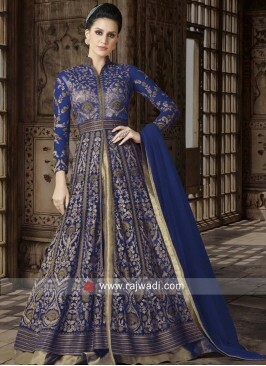 Made of Georgette fabric. This semi stitched suit comes with Santoon bottom and Chiffon contrast Red dupatta with black edging. 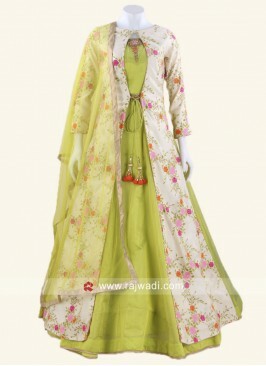 Perfect for eid function and wedding. Pink Cotton Silk Palazzo ..
Prachi Desai Salwar Suit ..